Six companies operating in the Boké mining region of western Guinea joined forces on May 22, 2018, to create a Bauxite Environment Network (BEN dubbed REB in French). Established under the aegis of the Chamber of Mines of Guinea (CMG), the objective of the BEN is to better manage the cumulative impacts of mining on biodiversity. To achieve this, the network has enlisted the advice and expertise of the Biotope design office in order to develop its action plan in concrete terms. Bauxite, the current mainstay of Guinean growth, is mainly extracted in the Boké region of western Guinea, for better and (sometimes) for worse given that environmental impacts can be devastating. However, it is precisely to better manage those impacts on biodiversity that, at the instigation of the Bauxite Company of Guinea (CBG) and Guinea Alumina Corporation (GAC) in February 2018 under the auspices of the Chamber of Mines of Guinea (CMG), six mining companies (out of the fourteen operating in the region) joined forces to create the Bauxite Environment Network (BEN) on May 22, 2018. The initiative is all the more remarkable because it is the first Guinean mine which, if all promises are kept and includes serious guarantees, could herald a completely new way of exploiting the ore (bauxite), which is the basis of all aluminium production. 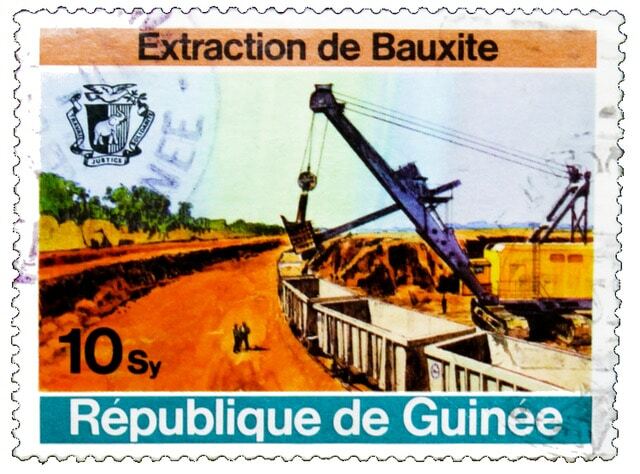 Guinea being the third largest bauxite producer in the world, with a third of the world’s proven reserves, red ore from the Boké region attracts Australians, British, Emirates, French, Indians, Russians and particularly… Chinese. 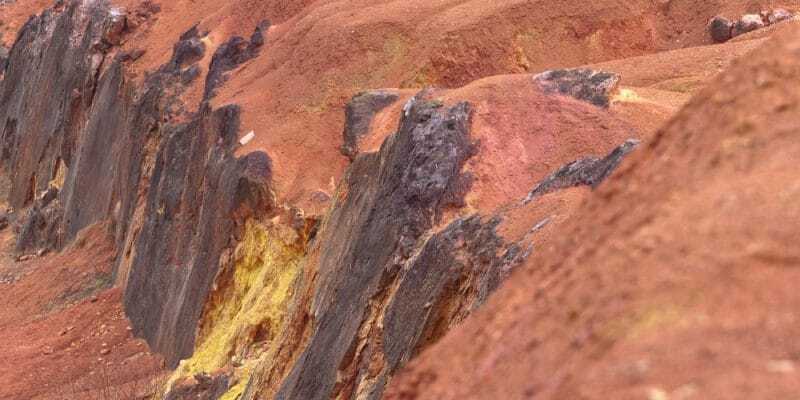 Since Indonesia, for environmental and health reasons, in 2014 and Malaysia in 2016 stopped exporting bauxite to China (the world’s largest consumer of aluminium), Guinea has become its main supplier. In a few years the country’s bauxite production has exploded. In 2017 alone, it increased by almost 40% to 43 million tons. The Guinean president, Alpha Condé, does not intend to stop there; he has decided to base the country’s development ambitions on the extraction of red ore. The immediate objective is to reach the production of 60 million tons of bauxite by 2020. In its attempt to structure activity for the benefit of the country and avoid a new “resource curse”, the government has successfully carried out a revision of the mining code in 2011 and is trying to develop locally, the production of alumina and even aluminium, which could offer real added value and lead to increased employment, perhaps able to calm the protest of local populations who consider themselves deprived in wealth-sharing. There remains, therefore, the environmental issue that may hinder these great plans, especially for a country that had exemplary ambitions at the time of the COP-CBD (Convention on Biological Diversity). The environmental impacts of red ore mining are heavy. During rock drainage, waste from outside the mines produces sulphuric acid when it comes into contact with water and air. During the rainy season, the pollutants contained in the famous red dust infiltrate the leached soil, move and can then reach groundwater or rivers. Terrestrial and aquatic life is very strongly impacted, because the water is then polluted by different metals such as bauxite, but also arsenic, lead, copper, cobalt, zinc or silver. As a result, there is a better understanding of the crucial importance of May 22, 2018, for the country. On that day, mining companies from the Boké region gathered under the aegis of the Chambers of Mining of Guinea, but also of the United Nations Development Programme (UNDP), for a conference debate on the occasion of the World Biodiversity Day celebrated each year on that date. At the end of the event, the largest operators, Guinea Alumina Corporation (GAC), the Bauxite Company of Guinea (CBG), Alliance Mining Commodities (AMC), Alliance Minière Responsable (AMR, an independent French firm whose aim is to develop mining projects in Africa), the Mining Company of Boké (SMB) and Alufer announced their initiative in favour of biodiversity. The companies, gathered within the Bauxite Environment Network (BEN), have committed to coordinate their efforts to better manage their impacts on their natural environment. They want to change from biodiversity destroyers to protectors through the brand new network. The grouping should enable everyone to make better progress towards “responsible and inclusive mining development”. The creation of the BEN was the subject of the signing of a protocol that specifies the obligation of mining operators to collaborate with each other to reduce the cumulative impacts of mining activity in Boké. They also committed to a change in practice in community planning for land and natural resource management. To this end, local populations should in future be more consulted and involved when carrying out environmental impact assessments of mining activities. The BEN has chosen to set itself certain priorities, including strengthening the protection of the marine environment, because the mining region of Boké is located about fifty kilometres from the ocean, connected in particular by rivers and mangroves. However, the surrounding ecosystem is used to protect the coasts against storm or cyclone attacks and sea level rise due to global warming, thanks notably to the emerged roots of the trees, the mangroves, which reduce the force of the waves. More importantly, it is in this environment that many fish species come to breed and ensure the growth of their offspring. It is therefore becoming imperative to protect this marine ecosystem and on this particular point, the BEN will be able to count on the support of the Guinean government. The network should also monitor coastal erosion, biomonitor marine animals and “critical habitats”, and rehabilitate rice fields damaged by sea-level rise. To this must be added a training component, particularly for village ecologists. They will be responsible for monitoring biodiversity and managing local natural resources. The other activity called for in the memorandum of understanding signed between the six mining companies is the creation of an ecological corridor and the planting of trees to serve as energy sources for local communities. In order to give shape to these ambitions under the best conditions, the BEN has called upon the specialists of the company Biotope. Biotope is a company specialised in the study, conservation and enhancement of biodiversity. It operates in Europe, Asia and Africa, particularly in Morocco, Madagascar and Gabon. Biotope is also present in Guinea, where it implements the Combo project, financed by AFD, FFEM and the MAVA Foundation. The project aims to promote best practices to reconcile economic development with the conservation of biodiversity and ecosystem services. This involves ongoing exchanges with government authorities (with the formulation of a national strategy on the subject), companies (aimed at analysing the most relevant solutions at this level) and civil society actors, including nature conservation NGOs. It is in this capacity that Catherine André, in charge of the Combo project in Guinea, participated and led a panel at a conference debate on May 22, 2018, which saw the creation of the BEN. Biotope’s action goes beyond that; she brings her expertise to advise the Bauxite Environment Network in the development of its action plan. The first general assembly of the BEN took place in Boffa at AMR (an independent French firm whose aim is to develop mining projects in Africa) on August 28, 2018. There is hope for a bright future for this platform of exchange and collaboration on good environmental and biodiversity practises to better mitigate the cumulative impacts of mining activities.